Jose Mourinho’s Manchester United were one of the busiest clubs in the January transfer market before the start of the season and they are getting ready for yet another summer of similar activity, before the next season. The manager has been looking at some of the best players to add to his squad at the end of the season and has been linked with some big names in Europe. 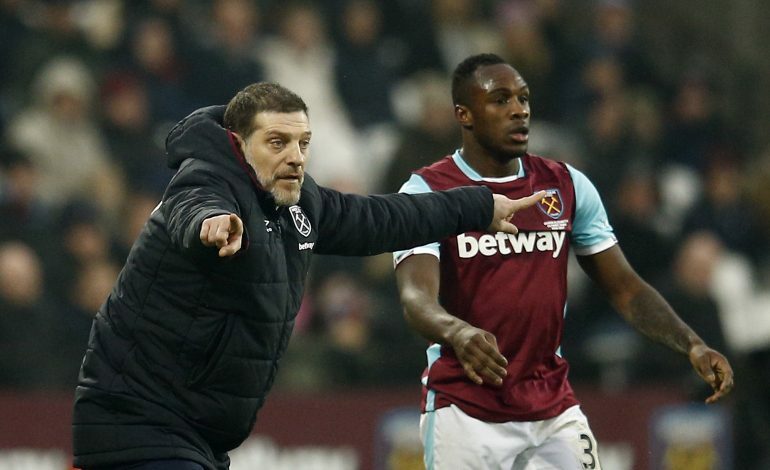 But one name that is now doing the rounds is West Ham star Michail Antonio. Arguably the best player for the Hammers this season, Antonio, is one of the most versatile players in the Premier League at the moment. In 24 appearances for Slaven Bilic’s side this season, the English star has 8 goals and 5 assists to his name and stands as the most effective player in front of goal for the Hammers this season. However, West Ham have not been able to build on their previous season and are in danger of losing their star in the summer. A number of Premier League clubs including the likes of Chelsea and Everton are interested in his signature but according to reports from The People, Manchester United have now sent scouts to watch him play, ahead a move in the summer. Antonio Conte was desperate for the 26-year old in the summer but the manager of the Olympic outfit revealed that the player is happy at the club. Reports suggest that Antonio is close to signing a new deal with West Ham that will keep him at the club till 2022 but the Premier League giants are confident of being able to land him in the summer. West Ham are currently in the 10th place, 12 points off a place in the Europa League and if they fail to qualify for the European competition, it will surely play into the hands of the Old Trafford outfit who are ready to make a bid in the summer. Do you think Antonio is a good option for Manchester United?